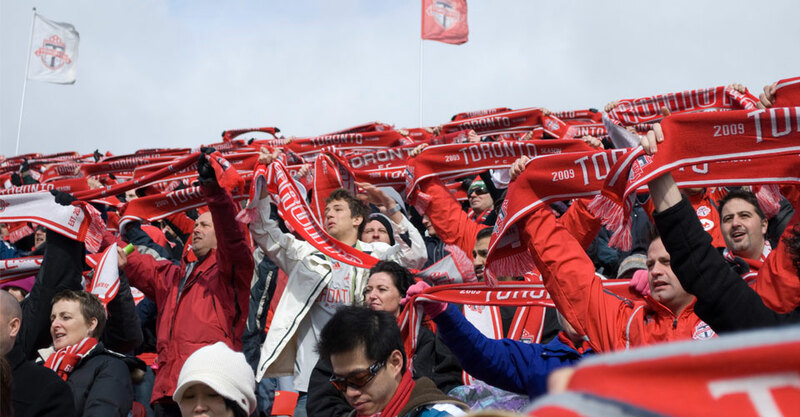 Once again kudos go out to Denis Kulenovic for scouring the dailies and the internet each morning to provide us with up to date news and features on TFC and MLS events. On August 6, 2008 a group of 10 members convened for the first of what would be multiple meetings and countless revisions that would eventually lead to the signing of the first ever RPB Charter on October 28, 2008. Special thanks go to Brian McGroarty whose invaluable experience and guidance was a major factor in helping us attain our goal. The new Charter was presented to the general membership for the first time on Saturday, October 1 in a meeting held at Shoeless Joe’s. An in-house pod cast hosted by club President Mike Dubrick, along with co-host / producer Alex Maletich and foreign correspondent Patrick Kavanaugh (who was the original co-host until moving overseas in September 2007), provided up to the minute news from TFC and the soccer world in general. Featuring lively discussion and a variety of guest interviews spanning the soccer landscape, the first ever episode was aired on June 12, 2007. The first Red patch Boys web site was designed by RPB Paul Frickleton, providing the first presence of RPB on the net outside of the message board. Maintenance and the complete redesign of the site were provided by “Black and White” who worked tirelessly everyday to keep the site up to date. The site gave our members instant access to news, announcements and general information. The first message board was set up by Damien Smart, as was officially launched on December 25, 2006. Pat Batty initially posted the current “Daily News” we all wake up to each day, before eventually turning over the reigns to Denis Kulenovic part way through the season. These two gentlemen scanned all the local dailies, as well as out of town outlets, to bring our members the most up to date information on TFC and other MLS teams. The “Sheriff of Parkdale” – While he did not have an “official” title, special thanks must go to RPB Mike Langevin for his tireless efforts in the numerous social events he had a hand in planning over the season. Whether acting as the “official greeter” at Shoeless Joe’s, leading an RPB group on a tour of Toronto’s “Nuit Blanche”, or acting as planner and emcee at our year end party, his efforts have made it easier for all of us to show up and enjoy the events.